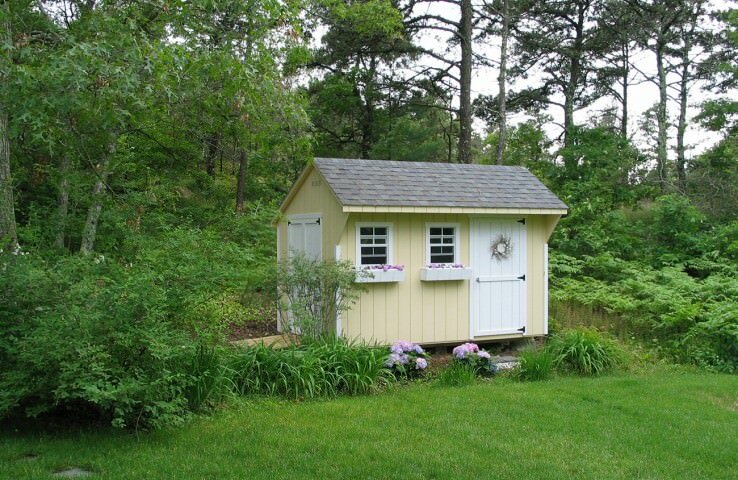 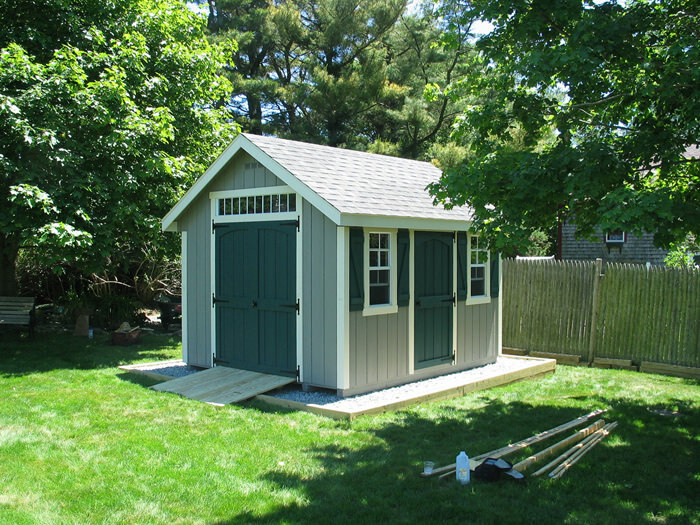 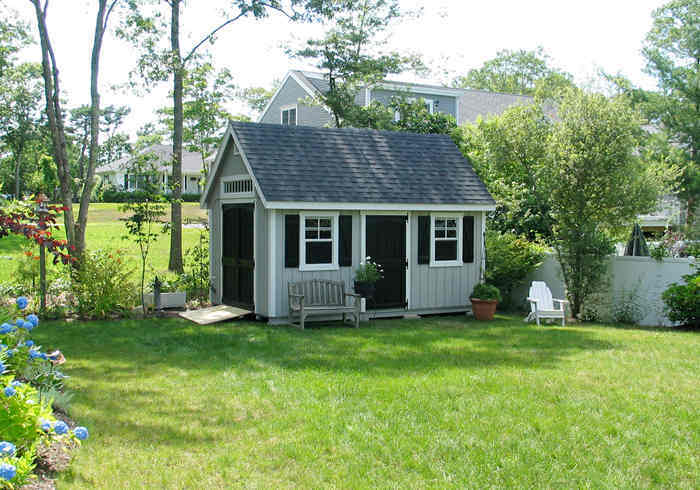 Sheds help reduce clutter, keep things organized, and keep backyards beautiful. 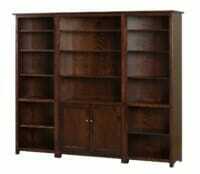 We all need extra storage for all our stuff. 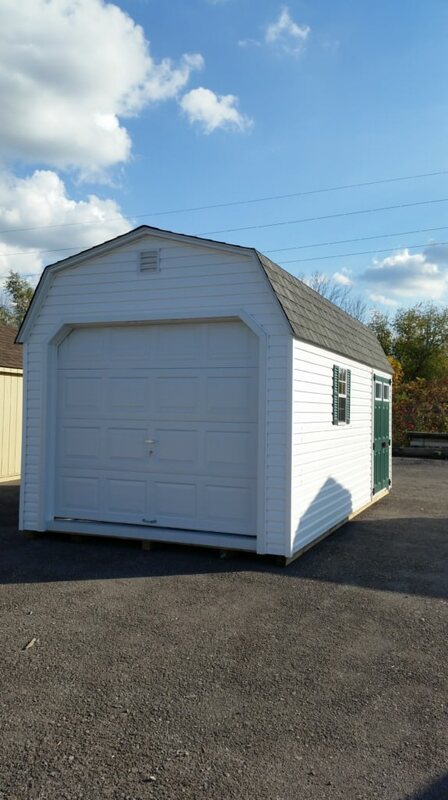 If your garage is getting too full of other things besides your vehicles, it’s probably time to think of buying a storage shed. 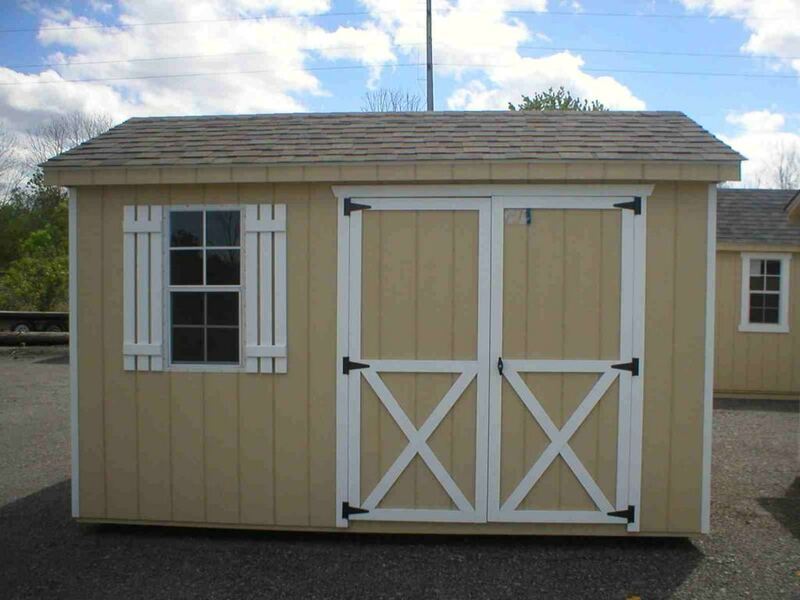 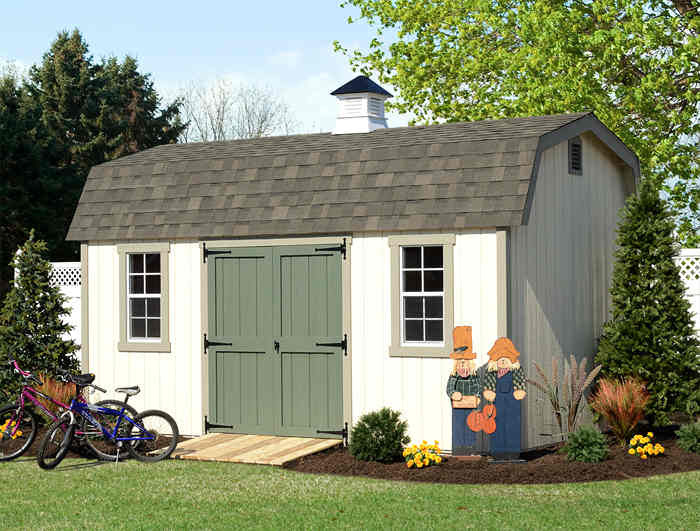 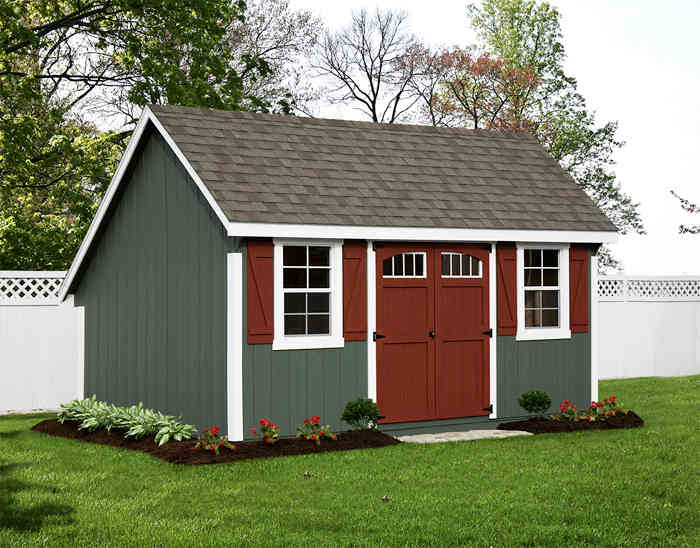 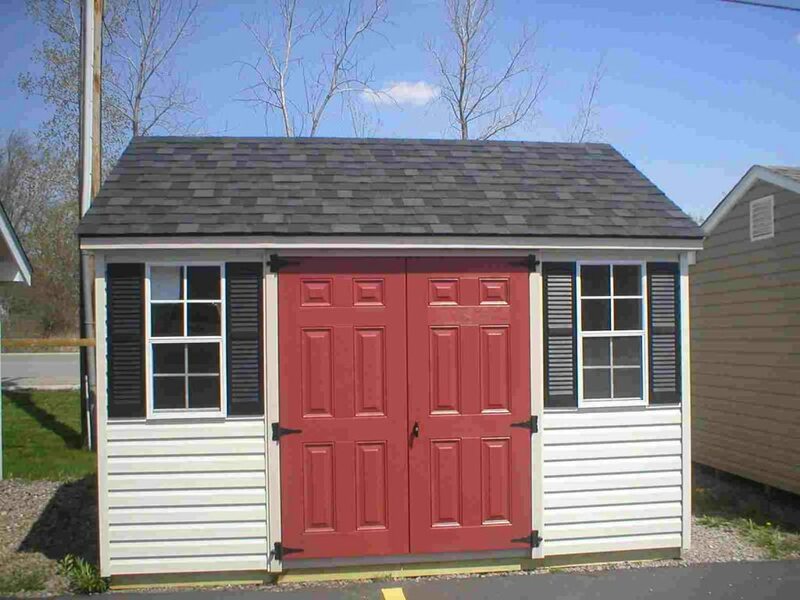 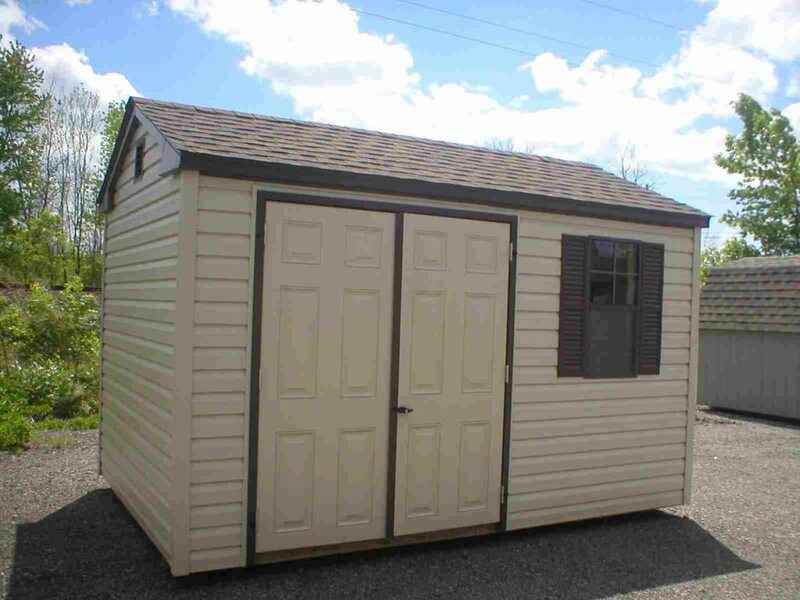 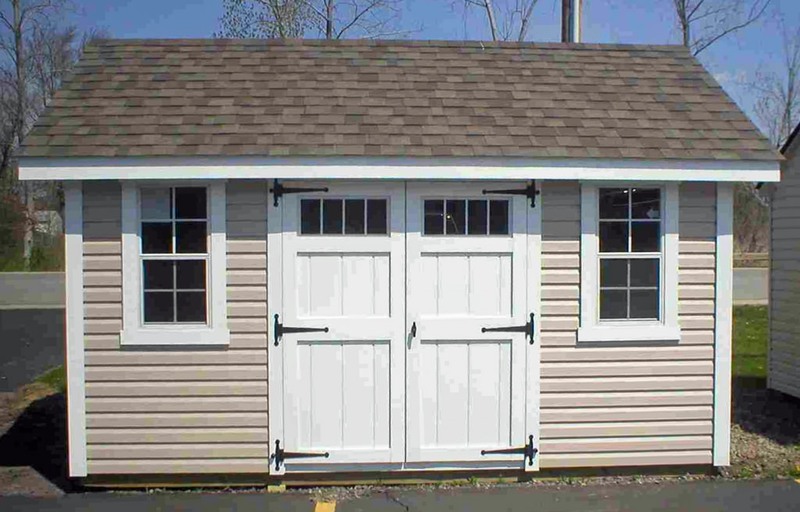 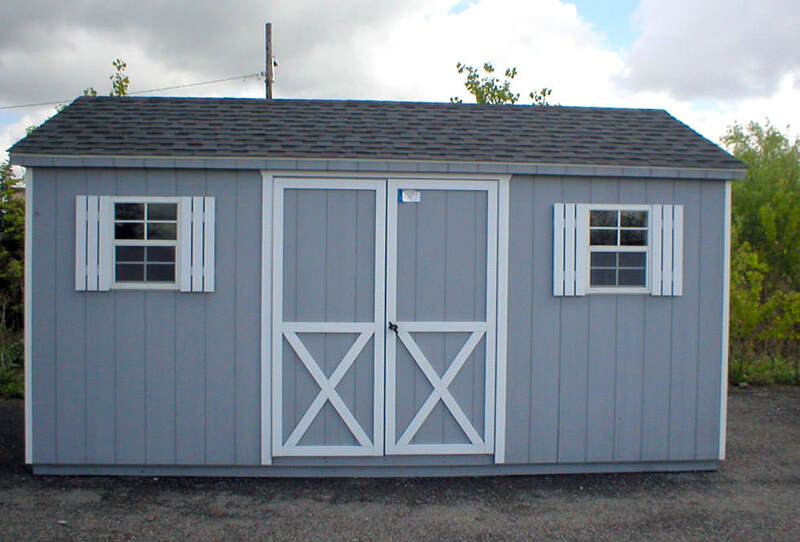 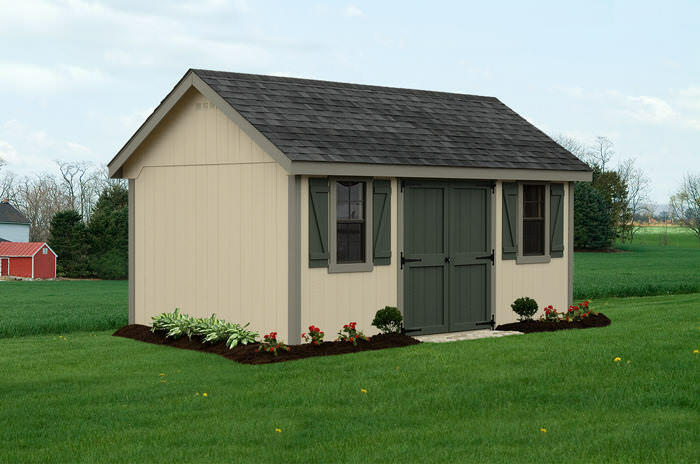 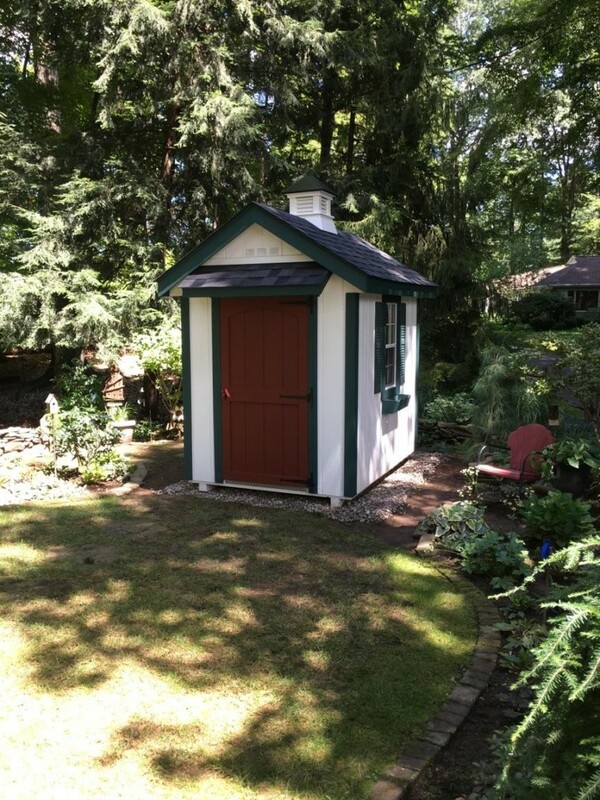 Amish-made storage sheds provide instant charm and utility for your property. 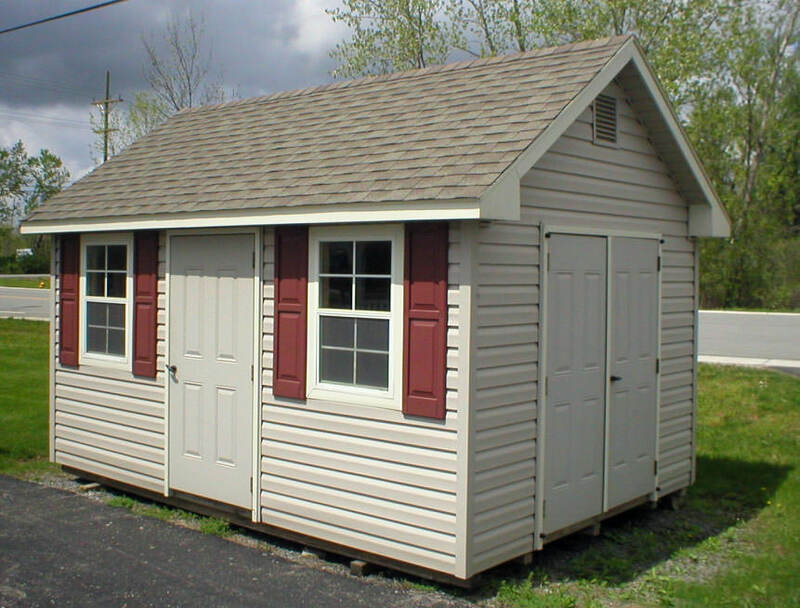 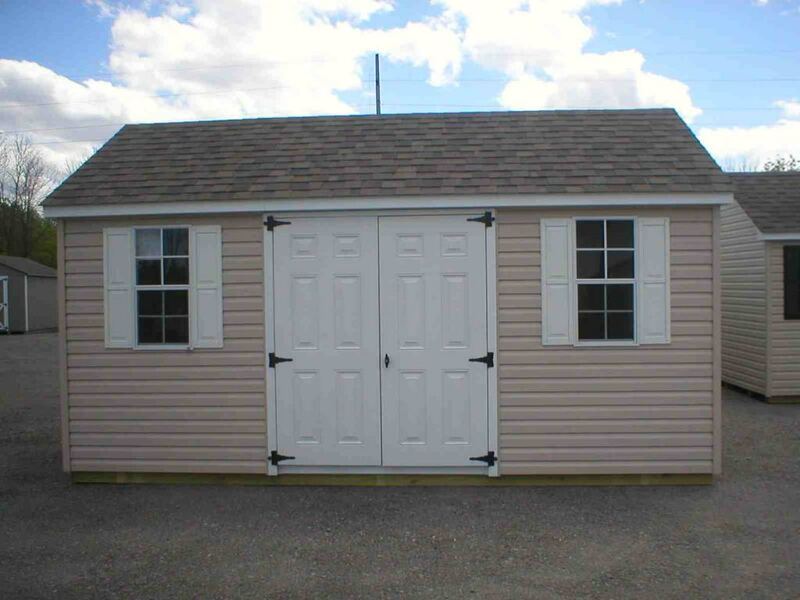 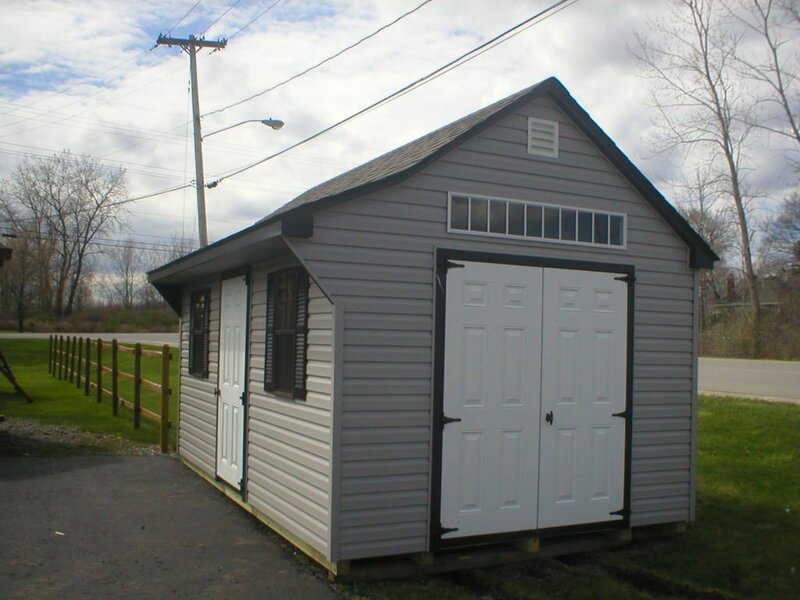 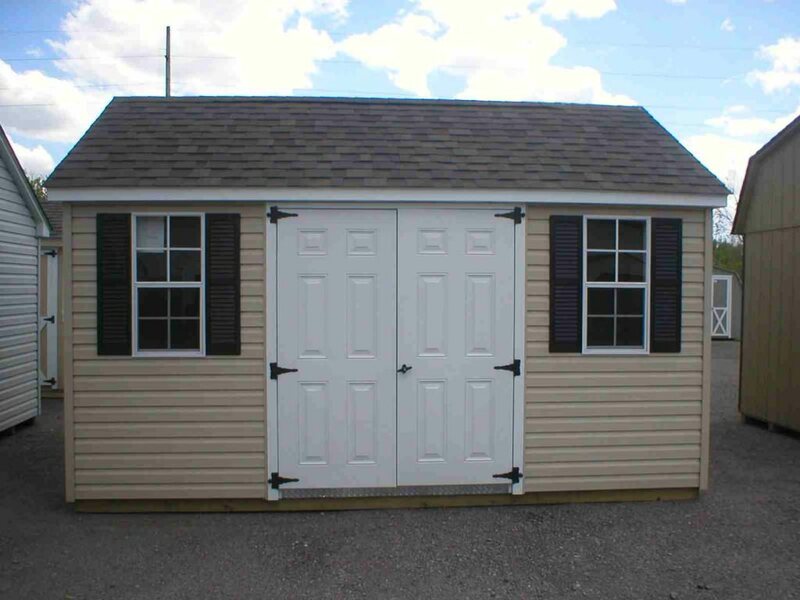 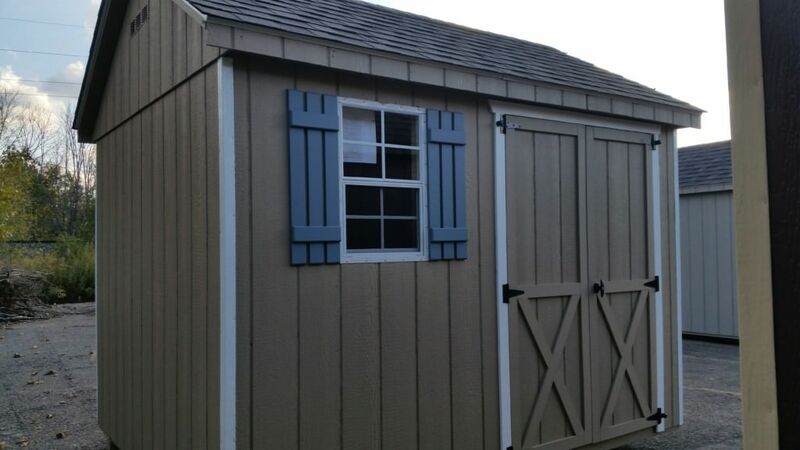 Our customers use their storage sheds for many purposes. 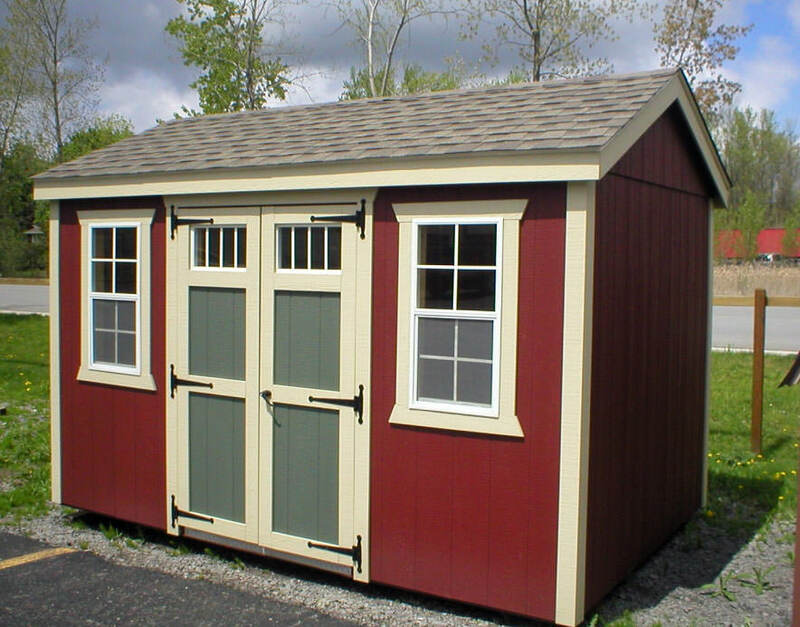 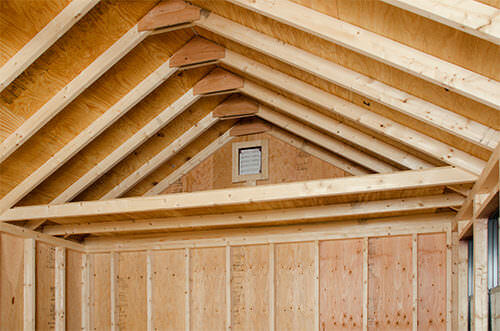 Elite A-Frame sheds (latest favorites) are elegant on the outside and practical on the inside. 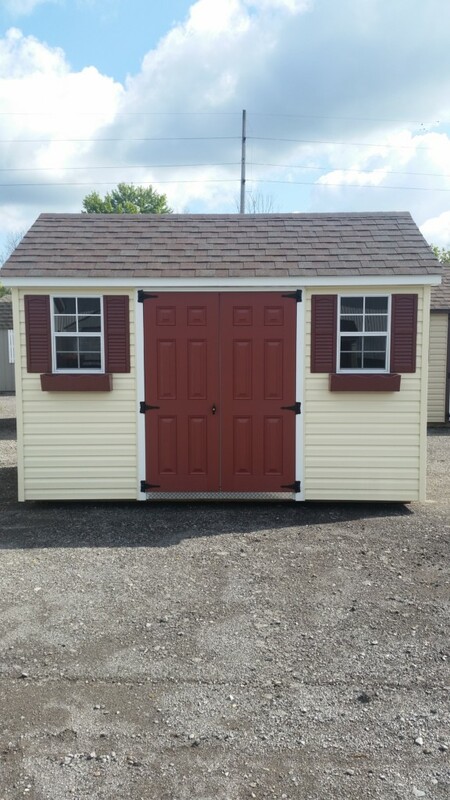 Complete with two 18″X36″ windows, wider trim and great storage to hold your lawn mower, bicycles, kids toys and out door furniture. 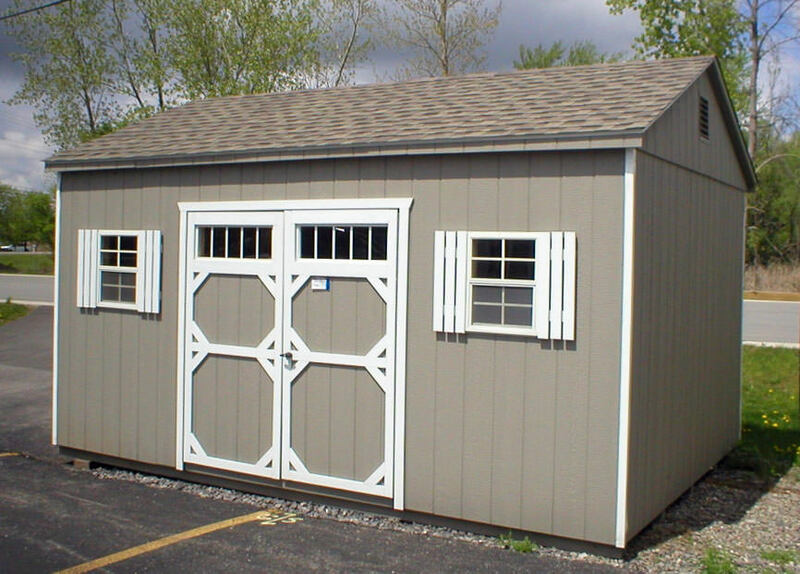 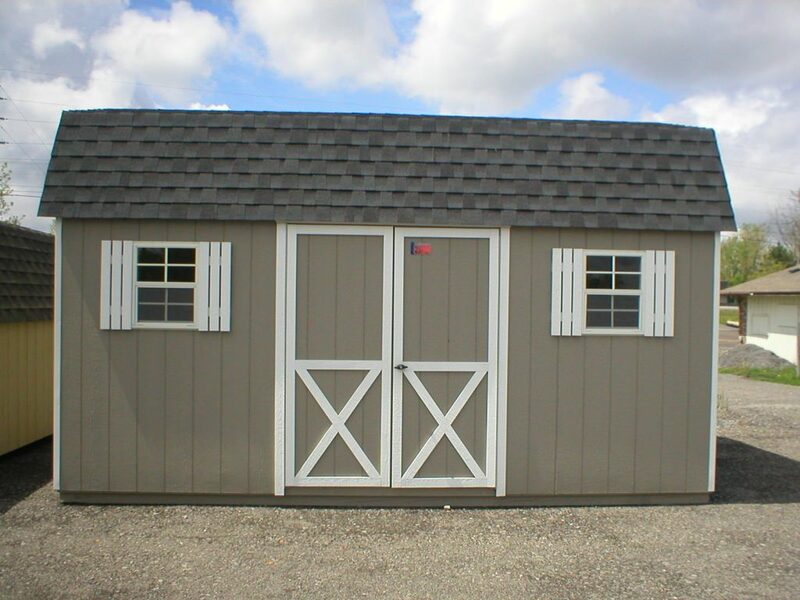 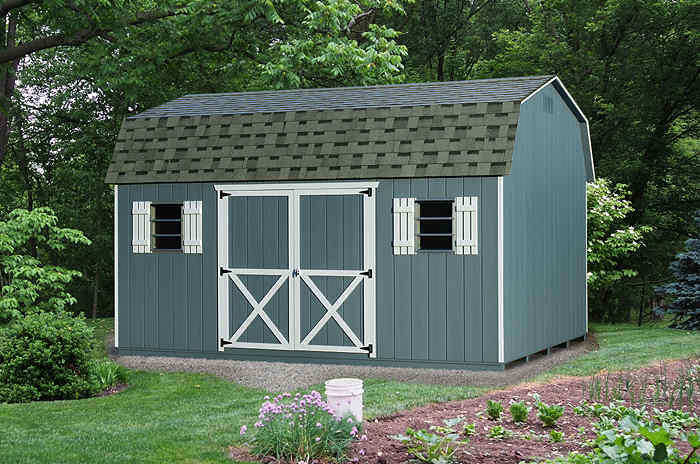 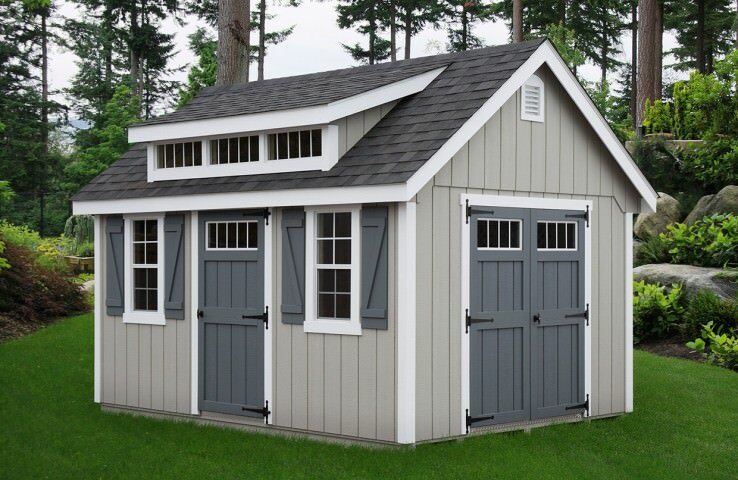 Elite Dutch Barns sheds are the best look for a country setting and large enough in height to store your bikes, canoes,kayaks,and other items that you may want to get out of your garages. 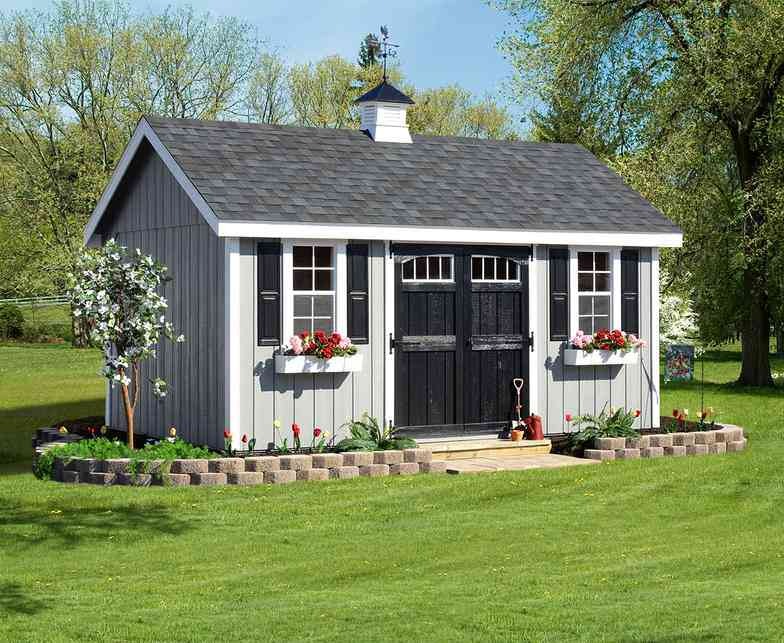 Elite Cape sheds – cute and adorable sheds with a little bit of an over-hang. 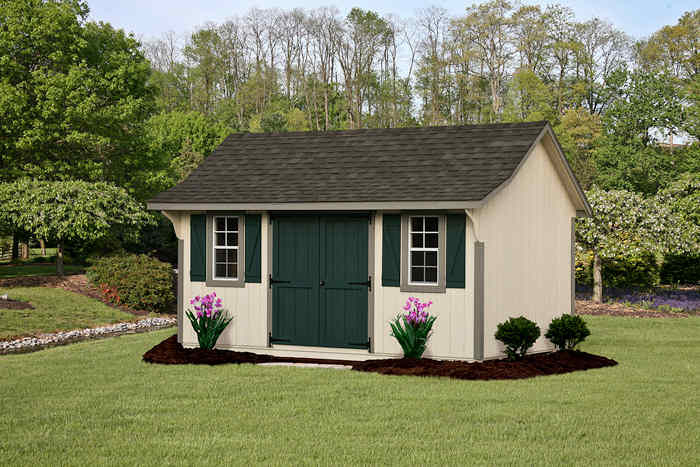 Great choice for a cottage style home. 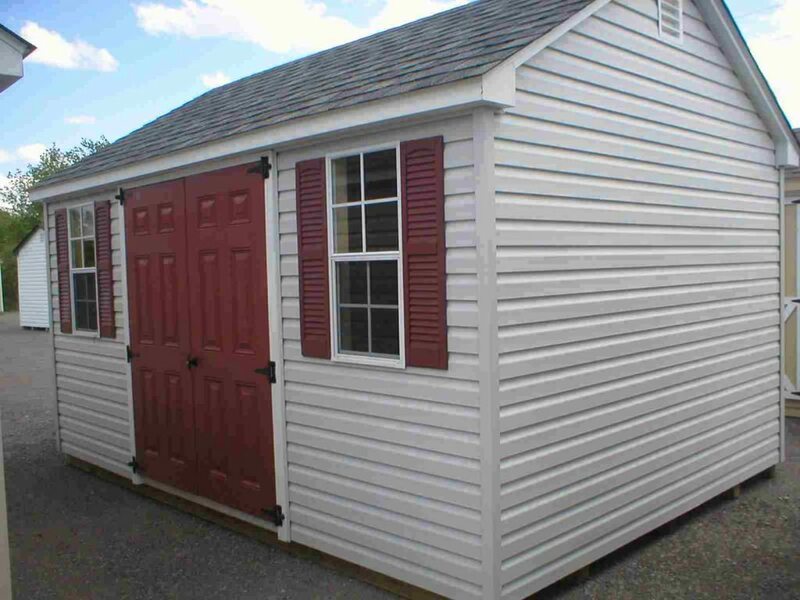 Garage Shed is your answer if you need lots of storage. 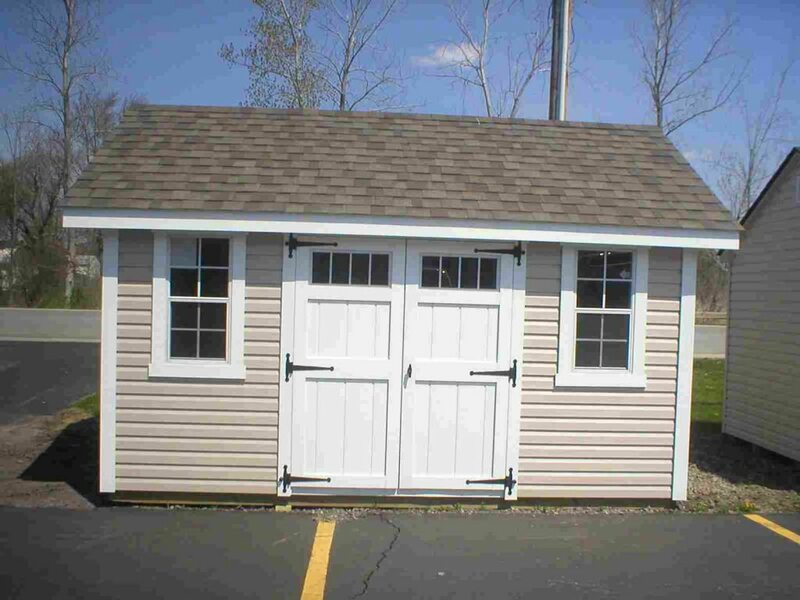 We can order one in Dutch, A-Frame and Garden styles. 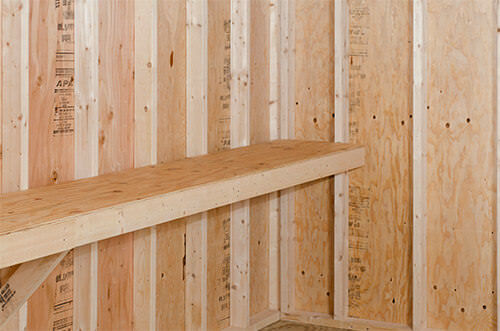 Vinyl or Wood. 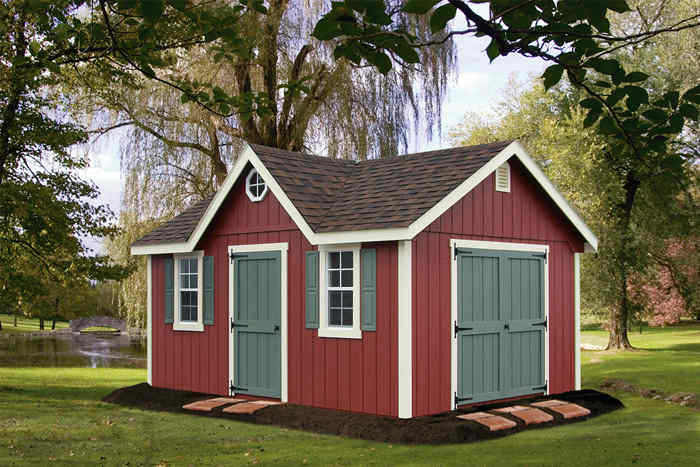 Choose the right color to match your home. 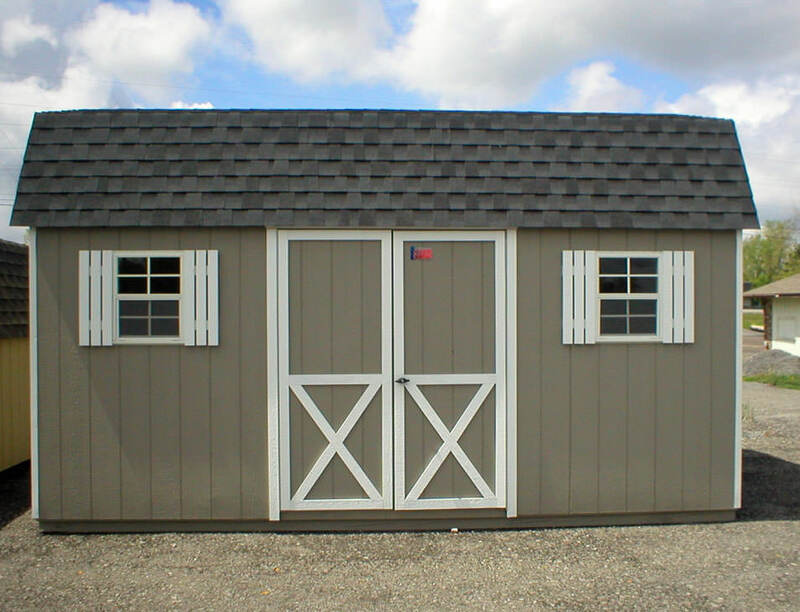 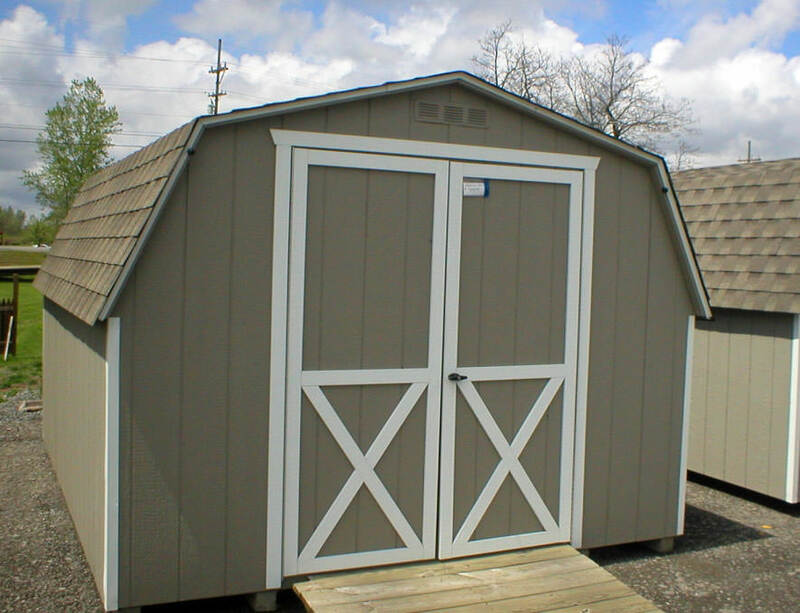 Mini Barns sheds 4′ and 6′ wall barn sheds to store your wheel barrels, construction tools of all kinds. 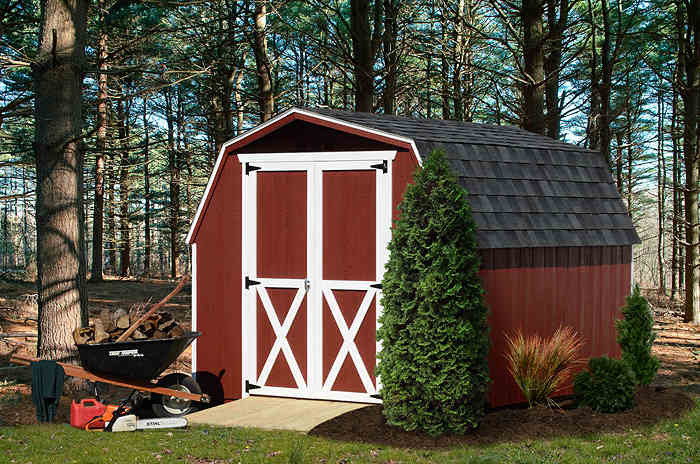 Ramps make it easy to get inside your shed. 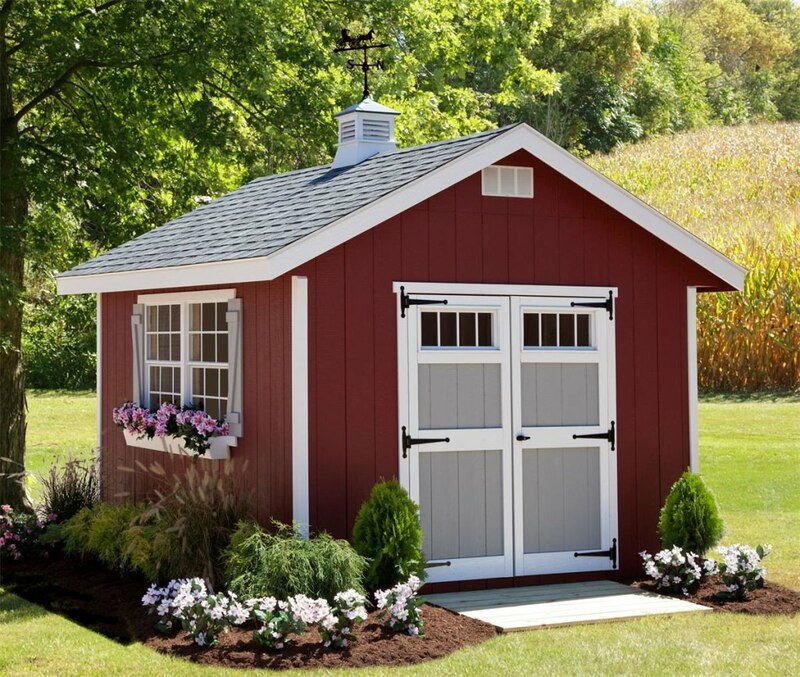 Flower Boxes are a great add-on because they bring color and life to any storage or garden shed. 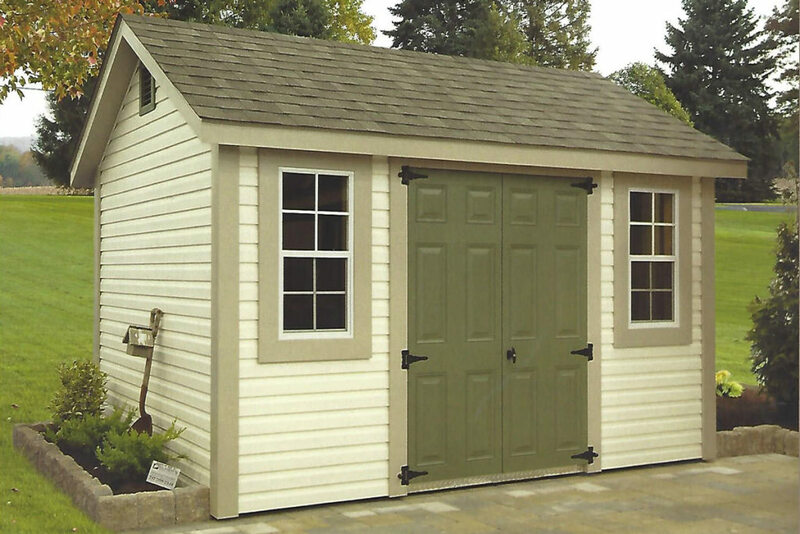 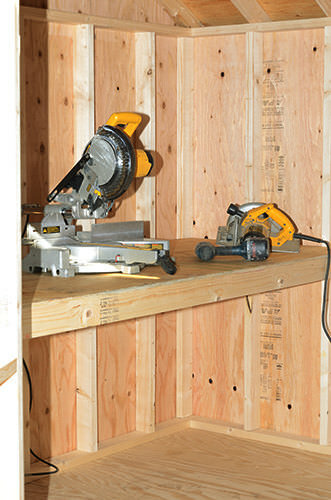 A Loft to maximize your shed space. 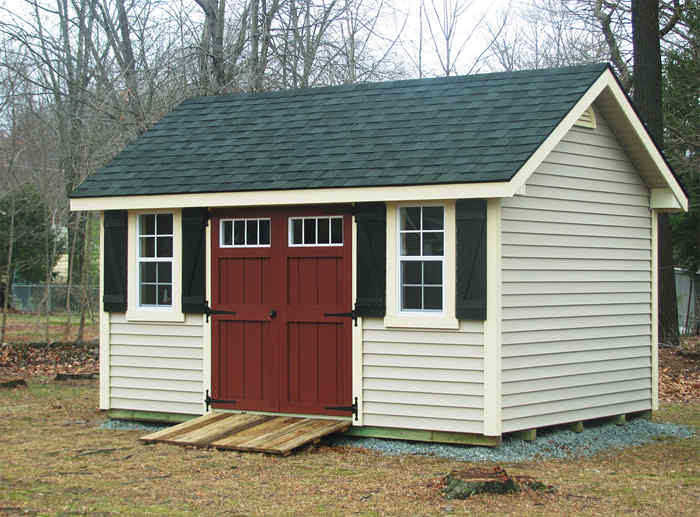 Ramps are a must for the easiest way to drive your mower or bike into a shed. 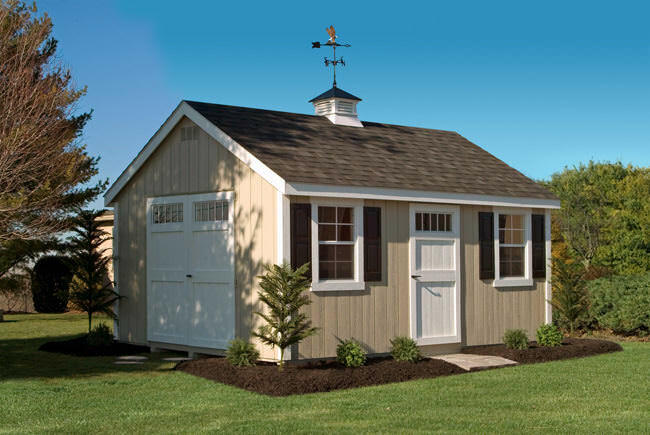 Weather Vanes and Cupolas add character to any shed. 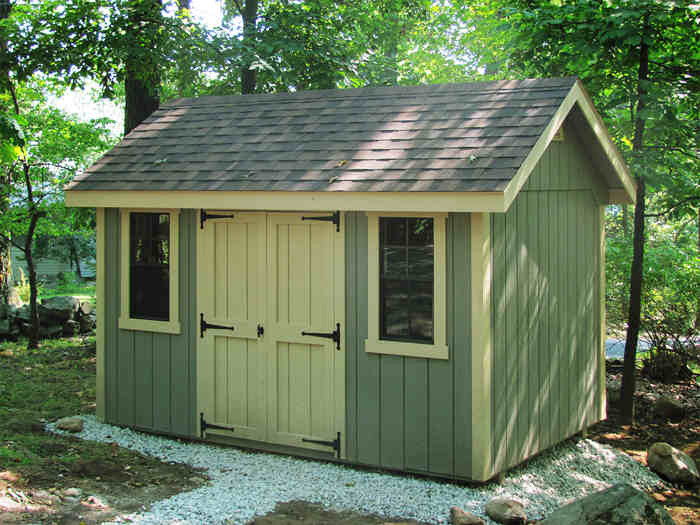 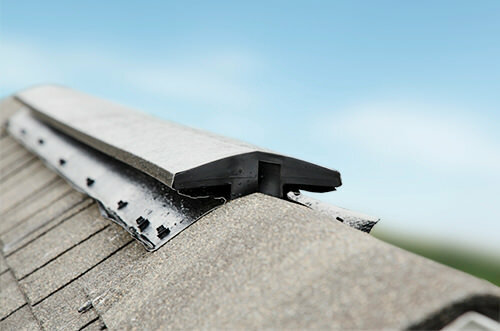 Ridge Vents will help with keeping your shed cooler and keeping moisture out. 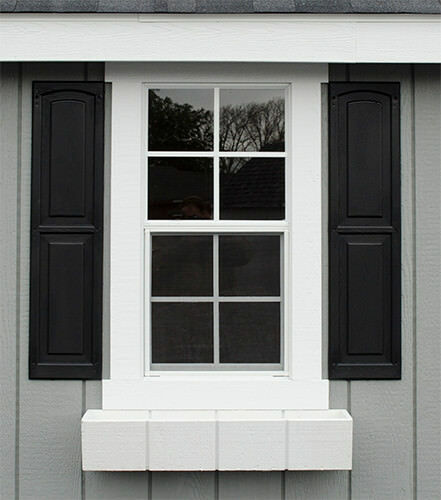 Windows will add more light and style. 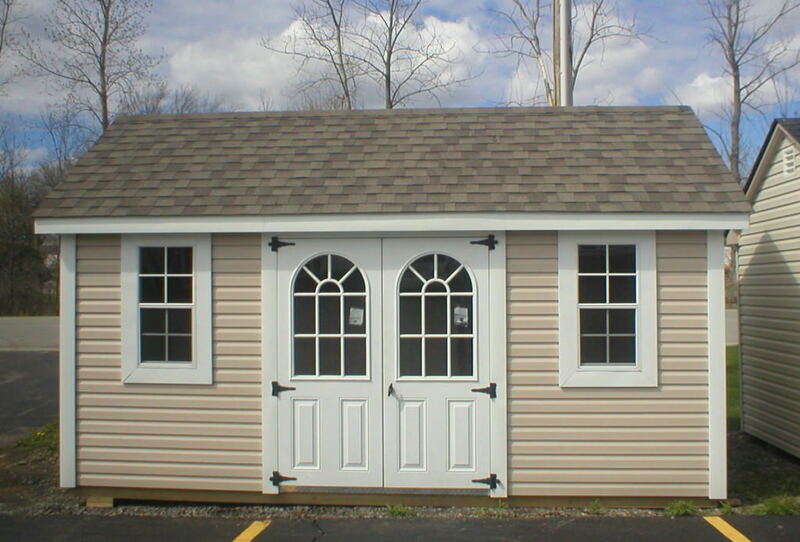 There are many sizes and styles to choose from: different size sliders, double or tripe windows or jalousie windows. 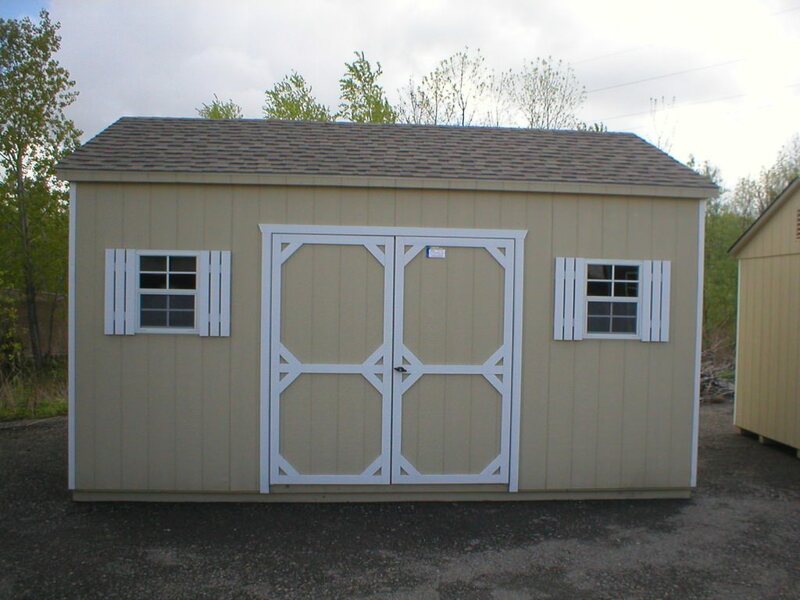 Shutters add a very nice decorative touch. 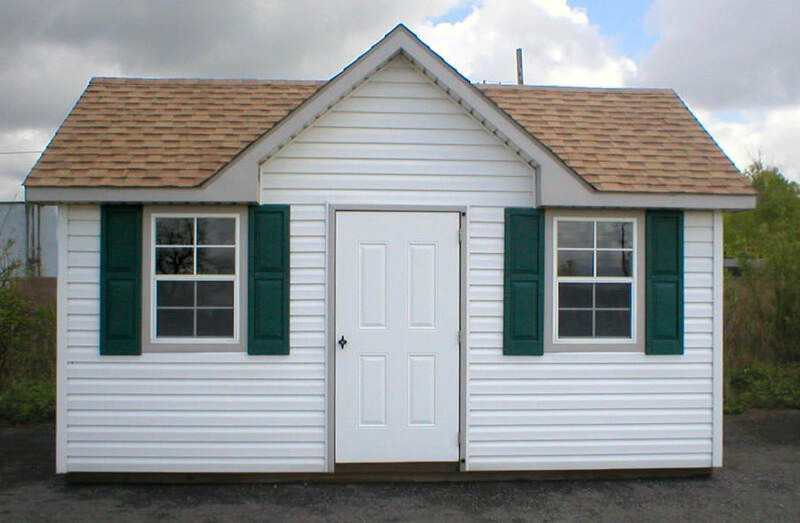 Choices include Z shutters, raised panel shutters, 3″ shutters, louvered shutters, and fancy window trim shutters. 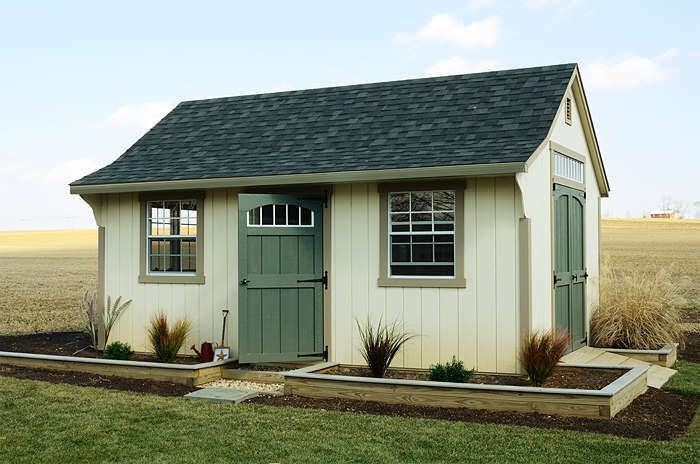 Doors can add charm and utility to any storage shed. 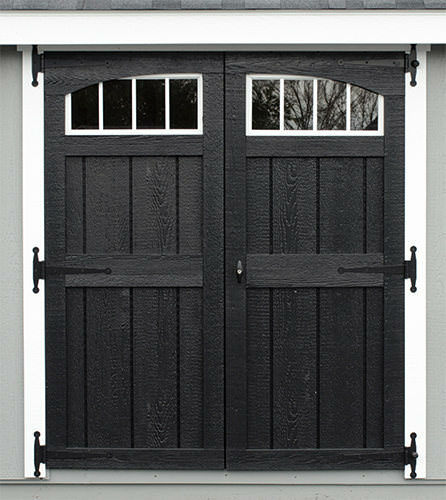 Add a transom window with an arch or transom window above a door. 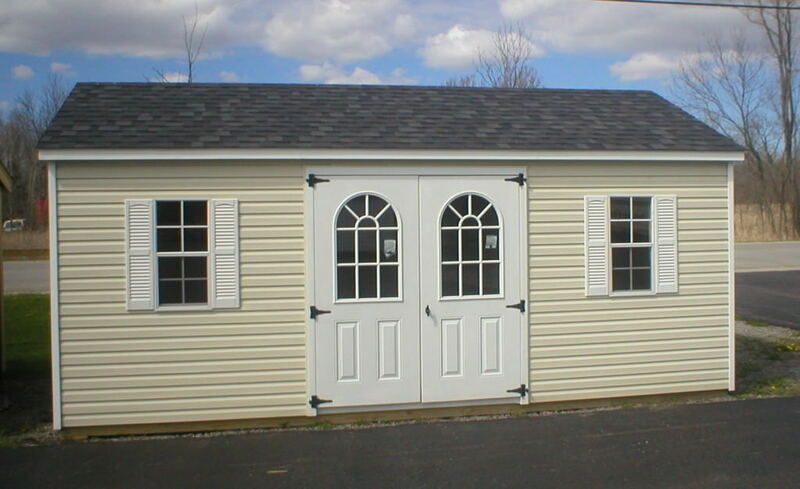 Single door options include a 11-lite arched glass door, 9-lite pre-hung door, or a single door with arch trim. 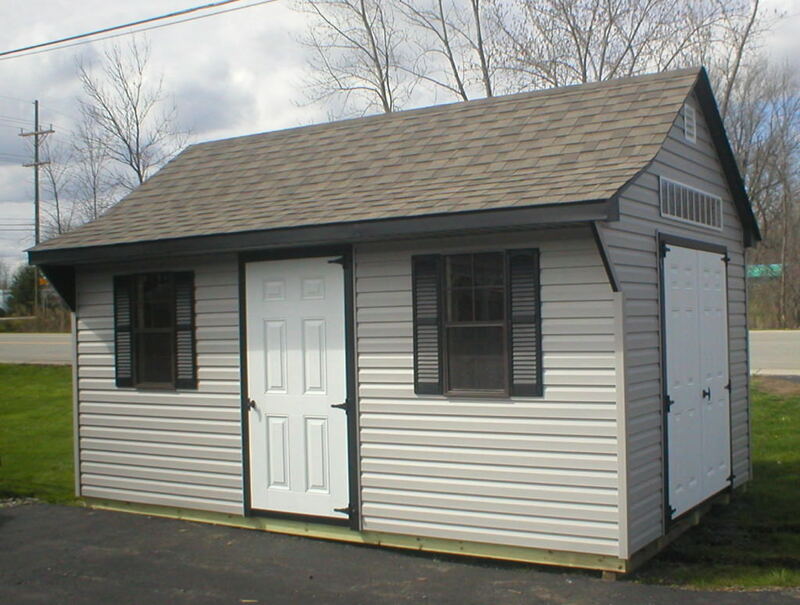 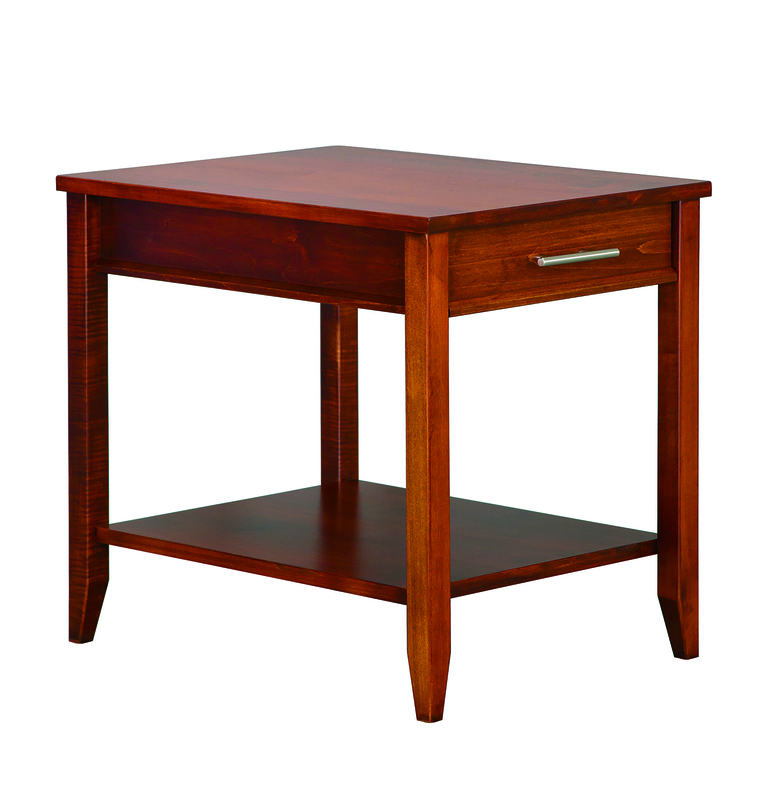 Please look at the photo gallery showing some of the options that are available to you. 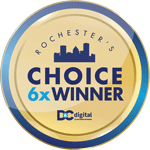 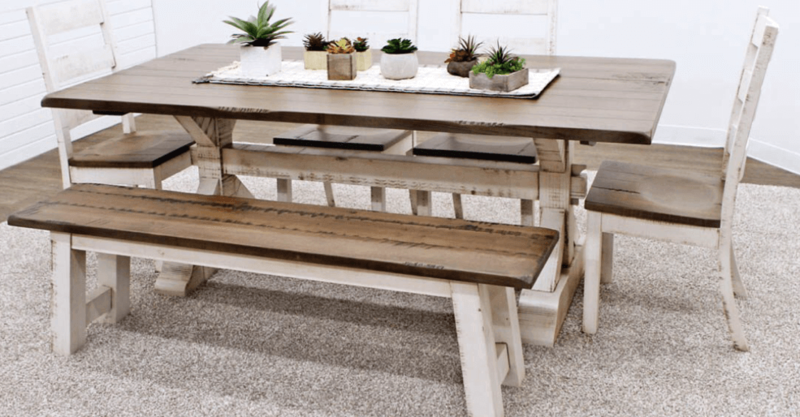 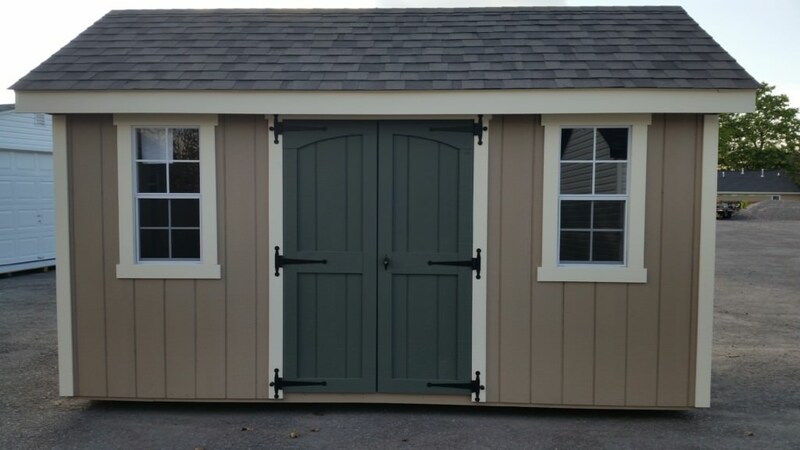 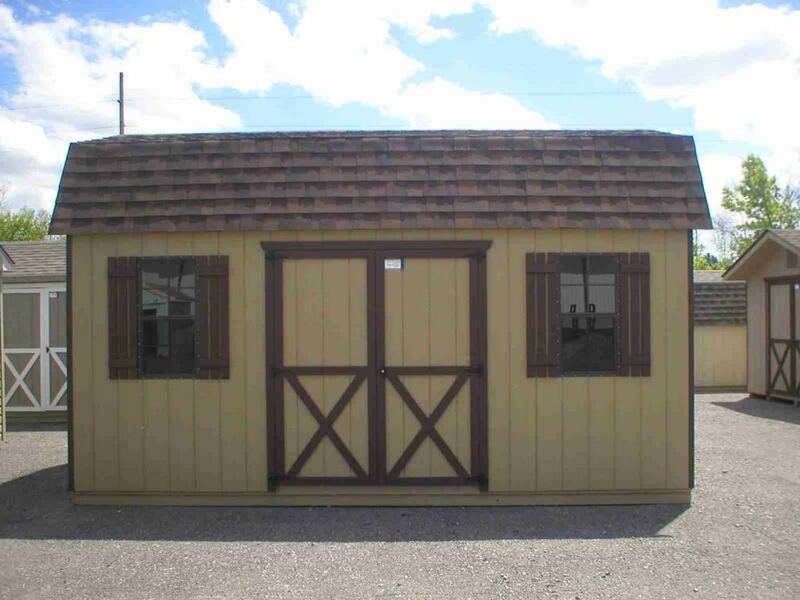 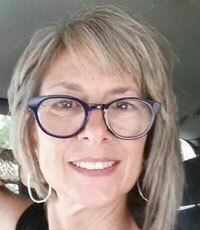 But better yet, come to the Amish Outlet and we will help you choose/create your perfect shed from a variety of outdoor storage sheds, each with their own styles and colors, all available with options.